With the warm weather slowly drifting away, it’s easy to slip into a fantasy world and start dreaming of faraway lands. But what if we told you that this could actually become a reality? Here we have found the best fairytale destinations that you can travel to right now – see dreams really can come true! 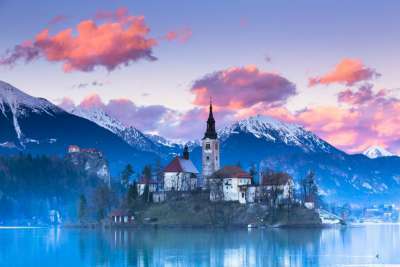 With pine-covered mountains and a Gothic castle and church in the middle of a bright blue lake, Lake Bled in Slovenia really does look like something out of a children's picture book. The church bells ring constantly through the day each time a visitor climbs the tower to make a wish, making this place seem even more magical. Popular activities include a wide range of watersports and hikes around the lake. You can also head a little further out to Vintgar Gorge where you can explore misty forests, canyons and waterfalls. 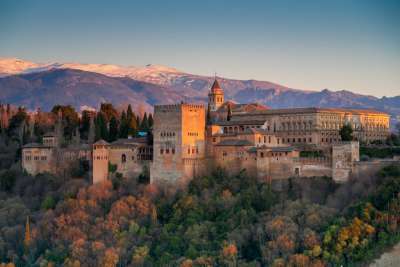 Perched high on the top of a hill is the famous and most visited attraction in Andalucia, the Alhambra Palace. Translating to the 'red castle' from Arabic, this magical-looking building made from red clay has several delicately carved details throughout its structure. Guests are advised to book tickets in advance, so they are able to explore the stunning waterworks and gardens that this wonderful site is home to. 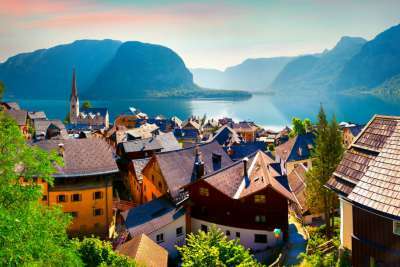 Stepping foot in Hallstatt is just like stepping into a fairytale. With trails of natural landscapes that have over the years inspired many poets, painters and photographers, it's no wonder that the place has an enchanted feel surrounding it. Spend you time here exploring local ice caves, rowing across the crystal clear waters, or maybe even learning about the natural salt-mines this town is so very famous for, other than it's stunning beauty, obviously. Only a short drive away from the lively vibe of Brussels, lies the tranquil and gorgeous Hallerbos. However, with the best time to visit being from April to May, this really is a visit that has to be carefully planned out, and trust us, it's well worth the planning. 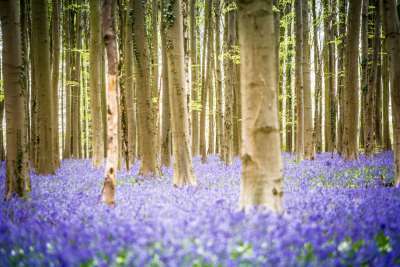 Known as the 'blue forest', once a year Hallerbos transforms into a carpet of hyacinths, and with no phone reception and the only sound coming from the birds chirping, it really does feel quite magical. You can even ride horses, you know, for the full Disney-esque experience! 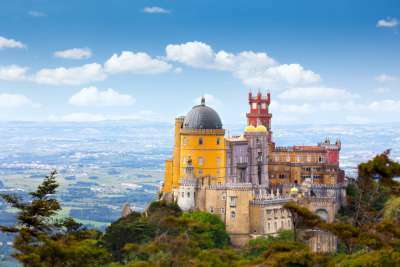 Located in Portugal's Mountain region and only a short distance from Lisbon, Sintra is the perfect day out. The Castle of the Moors is the main attraction which combines Gothic, Moorish, Manueline and Renaissance elements all in bright and happy pastel colours. Head to the top of this palace where you can see the wonderful sights of Lisbon, but make sure you do some exploring of this amazing medieval castle on the way back down before you leave. 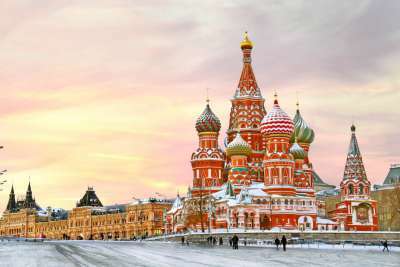 The Red Square in Moscow is full of mystical looking buildings, but it is the Cathedral of Saint Basil that stands out as the most extraordinary of them all. Made up of nine small and separate chapels, which are all carefully aligned to points on a compass, Saint Basil's looks like something straight from a Disney film. Legend has it that the Prince at the time of construction, later know as Ivan the Terrible, had architects blinded afterwards so they could never create anything quite as amazing again! 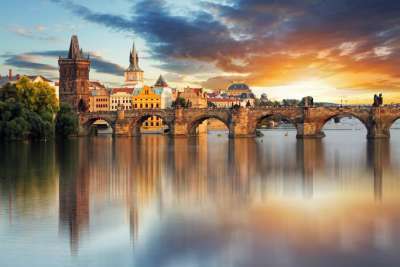 Known as the Fairytale City, Prague is perhaps the most enchanting of them all. And being the second most castle-dence country in the whole of Europe, it's no wonder why this city has such a reputation. Join in on a walking tour through the cobbled streets, and see all of the sights and attractions this magnificent place has to offer. From Prague Castle and the amazing Charles Bridge, all the way to the hugely impressive Zodiac Astronomical Clock in the old town, there's so much to see here in Prague. 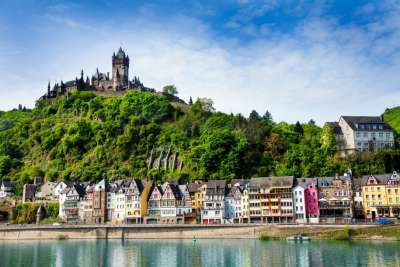 High on the hill in Cochem you will find this town's most remarkable attraction, the stunning Reichsburg Cochem, also known as the Imperial Castle. Take a walk around the grounds of this impressive building, and end with a true medieval dining experience with a seat at the knights table. Here you will feast on traditional food and wine from the nearby Mosel Valley vineyards. It may be a small town, but there's definitely lots to keep you busy! 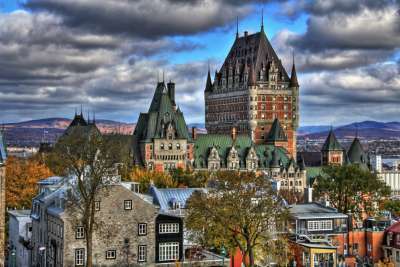 Quebec City is known for its romantic appeal, and with gorgeous cathedrals, waterfalls and pretty architecture, it's easy to see why. The Château Frontenac is a grand hotel in Quebec City, and is quite possibly the most photographed hotel in the whole of Canada. Perched overlooking the rooftops of Quebec, there are also some pretty magical views from the hotel of the entire city too. It just doesn't get anymore romantic than Venice does it? A city surrounded by water, with quaint little buildings that look like they've been pulled straight from the pages of a fairytale book. 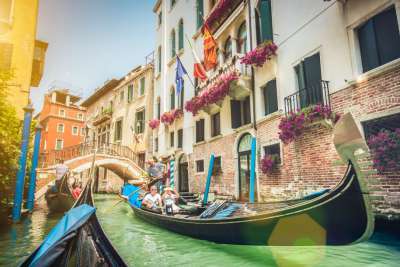 Relax on a famous gondola ride and explore the cobbled streets whilst soaking up the spellbinding sights of Saint Mark's Basilica, Piazza San Marco and the Rialto Bridge. With utter beauty everywhere you turn, you'll never want to leave this Italian gem.